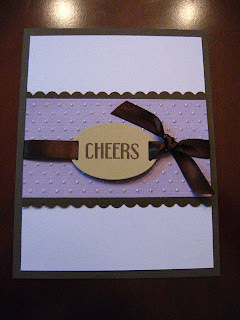 Schlosser Designs: Tutorial Tuesday: Holiday Cards plus Giveaway! 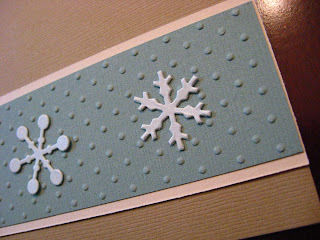 Tutorial Tuesday: Holiday Cards plus Giveaway! The holidays will be here before we know it, and if you're like me, you might just wait until the last minute to make those holiday and Christmas cards. Here's a few ideas I whipped up that look great, but take a minimal amount of supplies and time to create! 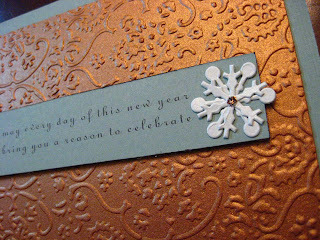 For all the embossing I used my Cuttlebug. If you don't have an embosser, try paper that is already embossed, or just a nice pattern will work great also. The sentiment on all say: may every day of this new year bring you a reason to celebrate. I just printed these directly onto the cardstock with my printer. That way, you can create any sentiment you want, and aren't just limited to what stamps you have on hand already. 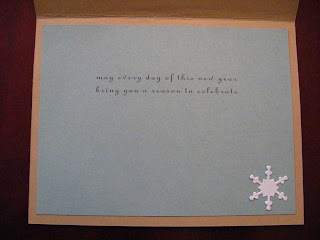 I'll emboss your choice of colored paper with any of the embossing folders I have and send those to you. This is great if you don't have a Cuttlebug and want some fun papers! 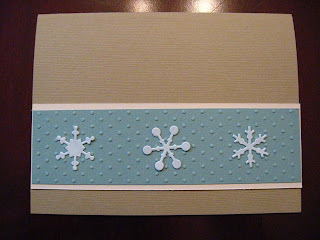 I'll emboss enough 4 1/4" x 5 1/2" sheets for you to do 25 Holiday cards. I'll use any of the embossing folders I have and send those out to you. So, just leave me a comment, let me know what you'd like to see more of, and I'll pick a winner that will get their choice of paper color and embossing! I'll get the paper, emboss, and ship to the winner! How easy is that?!? Happy Crafting! I'll have some more sewing patterns again soon. I'm working out the final touches now! Don't forget to leave a comment to enter the giveaway! See you soon! I always love more simple sewing projects :) Thanks! I like anything holiday. Home decor and cards with holiday theme are fun. Oh, gosh, how to choose what to see more of? I love all your simple yet striking designs, and papercrafts and sewing are both very close to my heart. Thanks for everything you do! Wow, what gorgeous cards! I don't do a lot of paper crafting myself, but those are inspiring! I'd love to see more sewing and gift ideas, thanks! 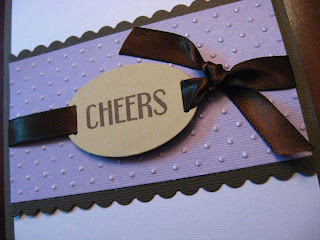 Hi Erin....what great simple cards these are..I think the simple ones are the most striking as compared to ones with alot of bling on it or layers and layers...but, I do papercrafting and have a Cricut. But small sewing projects would be great also. Thanks for your ideas. oooh...more of everything? it's hard to decide...but these cards are so so perfect. and I would love more simple-but-classy holiday related projects like this one. I'd love to see more sewing and home decorating ideas. Thank you for asking! Those cards are beautiful!! I absolutely love the top ones! I'd like to see more holiday related projects!! I'd like to see more home decor stuff. I'm always looking for little ways to change things up around the house. Thanks. My sister led me to your site. You have great ideas. I will be trying to make some of your projects. Love the pumpkins! I love sewing and home decor projects. Keep up the good work!! Those are such cute cards! And I love the random projects- like the spray painted pumpkins. I agree with others. more of everything! I love your style. but also, home decor is very fun. thanks for the giveaway! 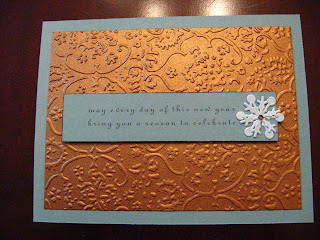 love that embossing! I love all sorts of projects, but especially holiday home decor. I had so much fun with Halloween stuff and can't wait to get started with Christmas. I love your tutorials .... and it's hard to pick which ones I like best. Since we are heading into the busiest holiday season I would go for anything holiday related. Thanksgiving or Christmas! Thanks! I love all of your posts, but would love to see more gift ideas! Keep up the great posting!